Meet Three Taverns new brewmaster, Riley Finnigan. Riley’s passion for brewing beer began over a decade ago and he brings with him a vast knowledge and industry experience. We’re happy to welcome him to Three Taverns family! You can find out more about Riley in the press release below. 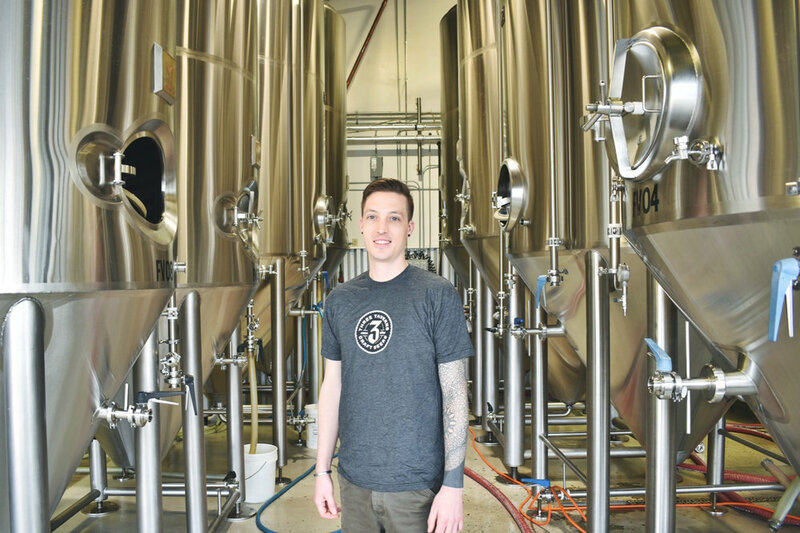 Three Taverns Brewery today announced that former Avery Brewing Manager and Edge Brewing (Barcelona) Head Brewer, Riley Finnigan, has been selected as Brewmaster and will oversee all brewing operations. Finnigan will assume the new role on February 4th. Finnigan comes to Three Taverns with a wealth of brewing knowledge and experience. He began homebrewing in college and followed that passion to Mexico working with local ingredients and honing his home brew skills abroad. He then spent 6 years at Avery Brewing in Boulder, CO, working his way through various positions including Brewer and finally Brewhouse Manager. From there he moved to Barcelona, Spain, to assume the Head Brewer position at a new craft brewery. His stout and barrel aged stout recipes both won gold at the Barcelona Beer Festival and under his leadership at Edge Brewing, they were awarded “Brewery of The Year” at the Spanish National Beer Championship. Founded in 2013, Three Taverns Brewery is distributed only in Georgia and has experienced significant growth year-over-year, finishing 2018 selling over 9,000 barrels. With their mantra of “Surpass the Ordinary” they have become known for their IPAs, barrel aged stouts, and sours.